Female Driver Sitting In The Car And Holding Black Mobile Smart.. Stock Photo, Picture And Royalty Free Image. Image 32493059. 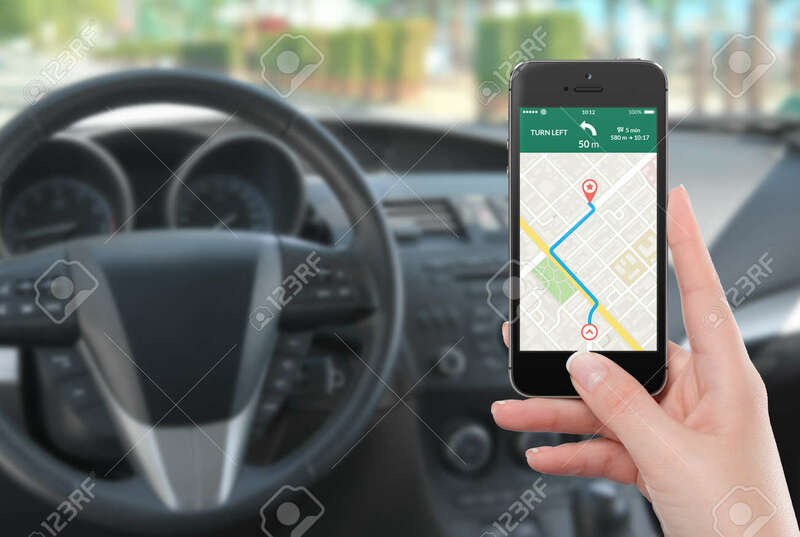 Stock Photo - Female driver sitting in the car and holding black mobile smart phone with map gps navigation application with planned route on the screen. Blurred car interior on the background. Female driver sitting in the car and holding black mobile smart phone with map gps navigation application with planned route on the screen. Blurred car interior on the background.